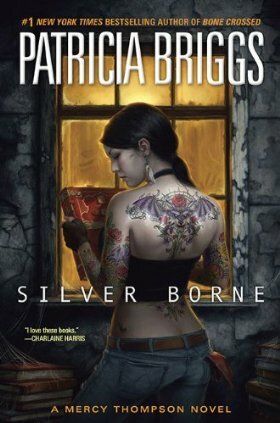 Silver Borne is the fifth book in the Mercy Thompson series by Patricia Briggs. It is currently available in hardcover and will be out in mass market paperback in January 2011. The first four books in the series are Moon Called, Blood Bound, Iron Kissed, and Bone Crossed. River Marked, the next book in the series, is scheduled for publication on January 25, 2011. The day begins mundanely for Mercy Thompson as she works on fixing a car at her mechanic shop. When she receives a phone call from a friend passing along a message from Phineas to “tell Mercy to take care of that thing I gave her,” she figures he just wants back the book about the fae that he lent her. Since Mercy’s friend is worried that he cannot get a hold of Phineas she promises to stop by his bookstore to return the book that very night. However, once she gets there to find the shop closed and Phineas nowhere to be found, her instincts are screaming that something is not quite right. Mercy doesn’t have time to dwell on something that might be wrong since she has a date with Adam. Although her date begins well, it ends badly when she finds herself acting strangely, as though she is compelled to do so. Soon, she suspects someone is using the pack bond to control her- it’s no secret that some of Adam’s wolves are not particularly happy about having a coyote as a pack member. Later that night Mercy receives a call from Samuel asking her to go get him from the hospital where he works. Once she arrives she finds that something is seriously wrong with him: his wolf half has taken over because Samuel is too depressed to continue. She can’t tell anyone who may know more about the situation than she does because werewolves in this position must be killed according to pack law. Can Mercy save Samuel, salvage her relationship with Adam’s pack and unravel the mystery of her fae book before it is too late? It continues to impress me that Briggs manages to pack so much into such a short novel. Each of the books in this series are approximately 300 pages long, yet the main plot is always wrapped up by the end and the characters are further developed. What I love best about each new installment, though, is that reading a new Mercy Thompson book is like reconnecting with old friends. After five books, the characters are all so familiar and true to themselves that they seem real (in spite of any supernatural abilities). Mercy has such a natural voice touched with humor that always draws me right in to the story and keeps those pages turning quickly. This particular volume has a main mystery involving the fae, a group I particularly love if they have a dark nature instead of being happy, human-like beings. 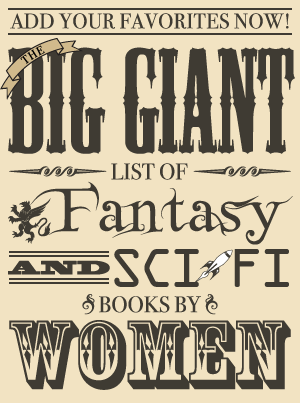 Although most of the fae in this series fit into that category, there are a few exceptions and I don’t even mind those because I love all the characters so much. While I loved the dark, fairy tale feel to the fae plotline in this story, the ending did bother me. It was just too convenient and seemed to come out of nowhere. It’s the same complaint I have with a lot of urban fantasy – it seems as though every powerful creature in the world happens to show up in the one city the series takes place in. This is largely Samuel’s book as he’s dealing with some of the issues that have been mentioned before. Even so, there are still plenty of great parts with Adam, Bran and many of the other characters (I’m starting to really want a series about Bran and/or Samuel’s past adventures). Also, there’s more information on pack dynamics and the different bonds, and learning more about the pack social structure is always interesting. Silver Borne is another great addition to the Mercy Thompson series with some more plot revolving around the fae aspect of the world. Although part of the ending didn’t quite ring true, the characters do and many readers will be happy to know that there is some special emphasis on Samuel. Where I got my reading copy: I bought it (in hardcover even though it meant my books no longer matched – I found it for $11 and just couldn’t wait).